Williams also goes on to discuss the implications of Siegel’s founding “Aesthetic Realism”, which I don’t presume to speak about. But I will say there seem to be many adherents, including Ken Kimmelman, who made a film inspired by Siegel’s book and quotes Siegel on his site. If you’re interested in ordering the film, contact Kimmelman through his film company, Imagery Film, Ltd.
And white in its edges. This city’s to be got to. The river near it has been noticed. And houses near railroad stations. Education consists in instilling into them the universal mind. Fly, birds, over all grieving mothers. For God’s way is in them. As lost lines in the early poetry of France. You are an Alfred-seeable sky. All poems from HOT AFTERNOONS HAVE BEEN IN MONTANA — Poems by Eli Siegel. Order the book here. August 17th, 2007 at 12:25 am eI’ve read about Aesthetic Realism before (something in a story about the aftermath of H. Katrina led me to it) but I didn’t realize Siegel was such a good poet. Thanks! August 17th, 2007 at 8:27 am eThat is magnificent poetry. Wow is it forcing me to focus and think. Thank you so much for introducing me to it! August 18th, 2007 at 4:15 am eAmy- Amazing poems here. I especially love “Contemporary History. ” What a title! You’ve posted some of my favorite poems by my favorite modern poet. 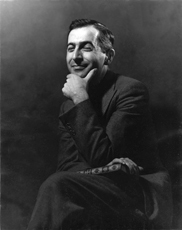 And the comments you’ve posted show how right William Carlos Williams was: when people read Eli Siegel’s poetry with an open heart and mind, they fall in love with it. It’s simply so musical, deep, kind, and thought-provoking. Perhaps people would like to know that there’s a book, published by Definition Press, which documents the friendship of these two great poets: The Williams-Siegel Documentary, by Martha Baird and Ellen Reiss. It’s one of the most important books about 20th-century American poetry, and includes the full transcript of a lecture Eli Siegel gave about Williams’ poetry, with Williams present, and commenting. (And saying, in effect, that Eli Siegel was the first critic ever to understand him).